The Atlanta Hawks had their exit interviews on Saturday, and wouldn’t you know, Dwight Howard spent his pouting. This was supposed to be a quiet and happy season for Howard, who returned to his hometown of Atlanta as a veteran just looking for a place to fit in after relatively disastrous stints in Los Angeles and Houston. For the most part, that’s how it went. He played a full season, averaged 13 points and 12 rebounds per game, and filled the space left by Al Horford with enough competence to get the Hawks into the playoffs. And then everything went wrong. 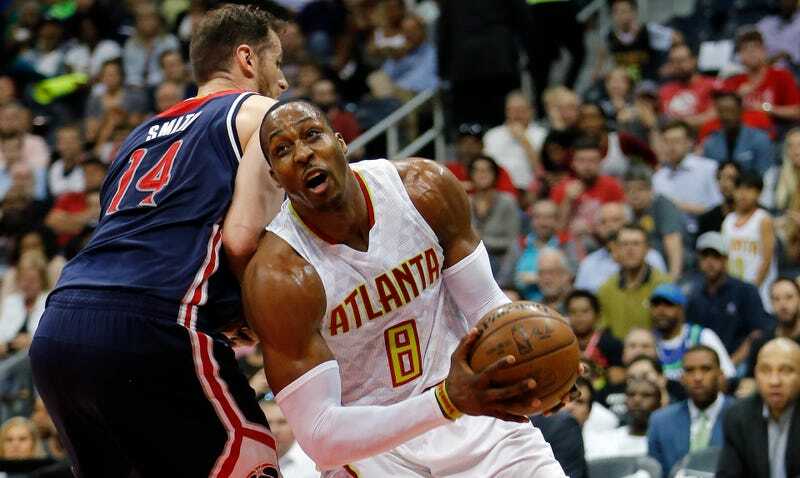 Howard was a ghost in Atlanta’s series against Washington—he played 26 minutes per game and logged just 16 fourth-quarter minutes in the six-game series—and he doesn’t seem too happy with how his playing time was handled by head coach Mike Budenholzer. “I want to play. I want to be out on the floor. I want to make a difference. I want to make an impact, and I can’t do that on the bench,” Howard said. He went on to repeatedly used the word “pissed” when describing his feelings about the season. Howard is 31 years old and the Hawks have to pay him $46 million over the next two seasons. Get ready for a fun and fulfilling two years of basketball, Hawks fans.